One of the biggest drawbacks to orthodontia is the pain involved. Some patients balk at the idea of enduring pain and discomfort for weeks or months, just to have a beautiful smile. Even those who go through with treatment wish that there was a way to fix their teeth while avoiding the pain completely. According to the results of a clinical trial at the UAB School of Dentistry, a pain-free approach to orthodontics may be on the horizon. Undine Davis studies at UAB as a dental student. She decided to ask about options for her bottom teeth, which were too crowded. 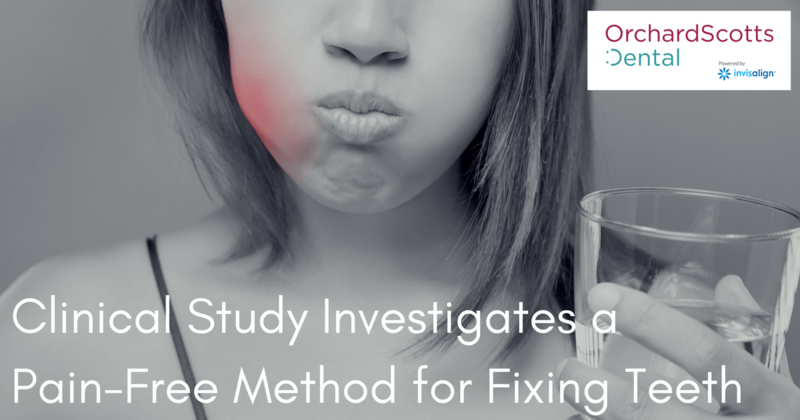 The researchers told her that she would be an ideal candidate for the new study, which investigates a pain-free way to move teeth into new positions. Palate-expanding appliances, metal braces, and wires are well-known for their painful effects on the patient’s inner cheeks, gums, and teeth. Invisalign trays involve some pain and soreness for the first couple of days after each new tray is inserted, but the pain usually subsides quickly and is easily managed with medication. Currently, Invisalign is the least painful option for people who are interested in fixing their teeth. However, with the Aerodentis system, no pain is involved at all. The tray remains the same throughout treatment; only the pressure changes depending on how the dentist wants to move the teeth. According to Dr. Kau, the clinical trial will last for 15 months, although some patients will finish their treatment long before that time. Right now, the pain-free system is not yet approved by the United States Food and Drug Administration, nor is it available in Singapore. However, if further testing goes well, the new option may become mainstream. Until then, you can visit Orchard Scotts Dental for the most current dental technology and methods. We offer Invisalign, which involves much less pain than traditional braces. Plus, we provide other services, such as dental implants, teeth whitening, laser gum reshaping, and our complete smile makeover. Our Singapore dentists and our team are highly trained and have years of experience creating brilliant smiles. If you’re ready to have your smile and your life changed, contact us to set up your first visit.